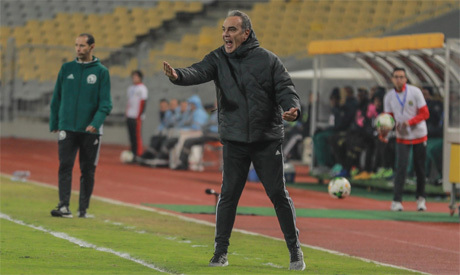 Ahly coach Martin Lasarte believes that Friday's Champions League draw with Algerian side JS Saoura was a fair result, blaming the recent absences from his squad for affecting the team's performance. The Reds were held to a 1-1 draw by their Algerian hosts in the second round of the prestigious African tournament’s group stage. "The game was a balanced one. The result was fair," Lasarte said in the press conference after the match. Yahia Cherif scored the opener for JS Saoura with a bullet header just before the hour mark, but midfielder Karim Walid sent a late header into the net to help Ahly secure the last-minute draw. "Our opponents were better in the second half and they managed to score a goal and that kindled us to score the equaliser," the Ahly coach explained. "We came to Algeria amid many absentees in our squad due to injuries," he added. After the draw, Ahly, who have reached the Champions League final in the past two years but lost on both occasions, remained on top of Group D with four points, while JS Saoura are third with just one point.